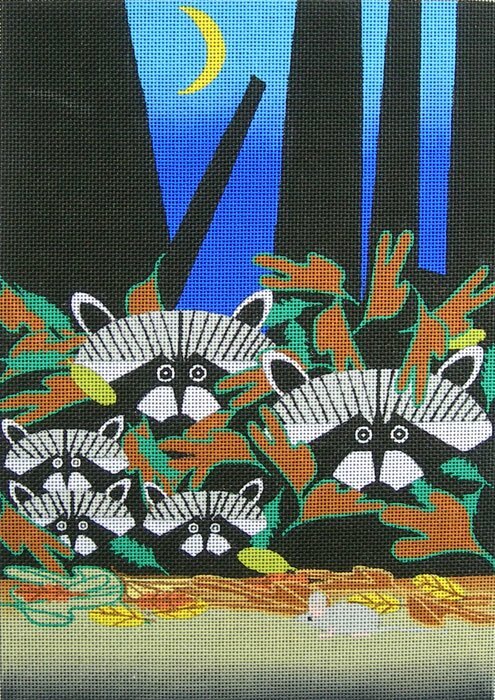 This Racoons design is handpainted onto 18 mesh Mono Zweigart needlepoint canvas. The design area measures 8" x 11". If you require stretcher bars we recommend a pair of 15" and a pair of 12".